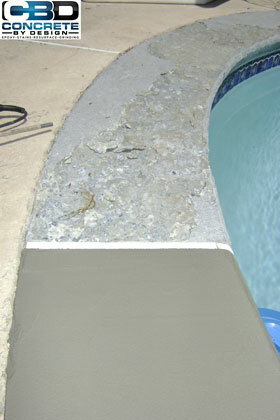 Concrete By Design can handle any swimming pool repair or design you need. We do decorative concrete etching, acid wash, and pool deck stamping as well. Whatever you may need done, we can get it done and get it done right. Custom concrete deck design brings a breath of fresh air to your pool deck. Whether you are looking for a simple deck or an intricate design, CBD can bring your vision to life. Imagine your next pool party on a beautifully designed concrete deck! There are many benefits of concrete pool decks, especially when compared to wood or stone decks. Concrete provides a slip-resistant, durable surface. This gives you a fun, safe environment for you and your family to enjoy together! Is your pool deck looking a little shabby and drab? We at CBD can make any necessary repairs you may need, in a professional and timely manner. 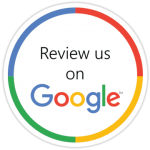 There are several options that we can take to repair your deck. Depending on your budget and the condition of the existing deck, these options can range from a color enhancement, which involves a coat of stain being applied, to a total resurfacing, which can be done with a decorative overlay. Has your deck started cracking? The best option, in this case, is to apply an overlay or microtopping. This will not only cover over existing flaws, but will also let you add texture, pattern, and color. Some of these overlays are specifically intended for pool decks and will give the surface a slip resistant coating that reflects heat as well. If you’re experiencing minor discoloration or cracks, engraving or pattern cutting can hide these flaws. Whatever pattern you choose, the flaws may add to the look. When concrete is engraved, it is first stained, then a distinct machine is used to cut the pattern into its surface. This creates artificial grout lines, giving a refreshed look to your concrete surface. Most concrete stains, color hardeners, integral pigments, and other coloring methods are resistant to wear and long-lasting. However, years of inattention can still take a toll on the surface’s appearance. Weather exposure, attack by pool chemicals, and inappropriate color application are all factors in this. There is good news, however. This can be fixed by a new coat of acid or water-based stain. We use UV-resistant products, and shield the concrete with a proper sealer, so your newly colored deck will be able to maintain the beauty for years to come. No matter what you need done to your existing deck, Concrete By Design has the industry knowledge, capable crew members, and will take exceptional care to ensure you get the newly restructured design you wish to see. We will give you a reasonable estimate and complete your project in a professional and time and cost-efficient manner. From simple repairs to complete restorations, give us a call today and let us bring your concrete vision to life!